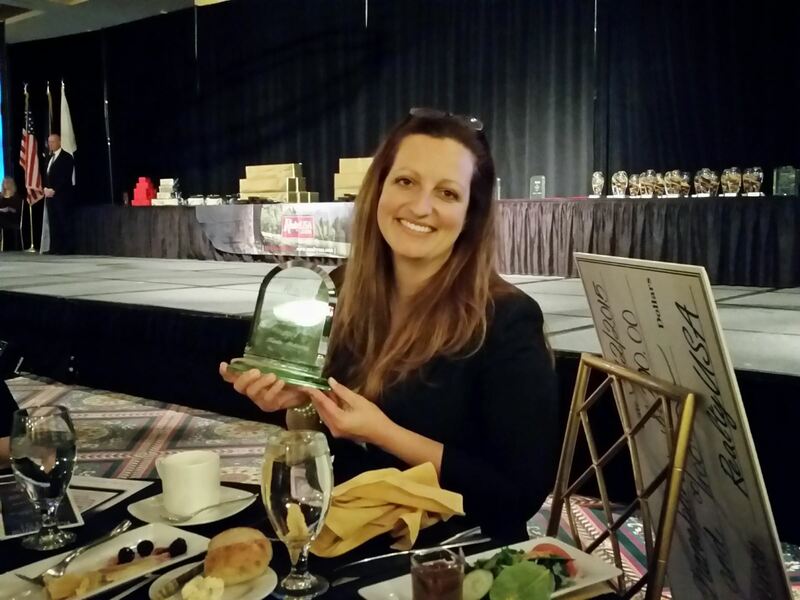 Kristin Shanahan, from CNY Agent Team at RealtyUSA is the proud recipient of the Customer Service Excellence Award and a Silver Top Producer Award for RealtyUSA. The award show was held at the OnCenter in Syracuse on Thursday afternoon. "I'm so honored to be receiving this award for customer service excellence. I strive to serve God and my clients in the most positive way possible during what can seem to be a stressful process. Thank you to RealtyUSA for the generous gift and recognition among my peers. Here's to another successful year!" We are so proud to have Kristin on our CNY Agent Team. She is trusted and dedicated to customer service. To learn more about Kristin visit About Us.